Hiking Backpack, Walking Sticks, Light Rain Jackets, Flashlights, Headlamps and Rain Ponchos. 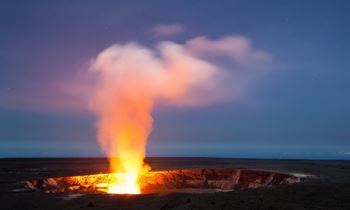 See Mauna Loa and Mauna Kea volcanoes on your drive across Saddle Road into Hilo. 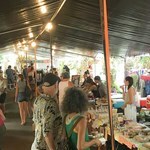 Enjoy a delicious Lunch Buffet with many entree, vegetable and fresh fruit choices to satisfy a vegetarian or omnivore at the Sky Garden Restaurant inside the Imiloa Astronomy Center. Adventure to Kilauea Volcano just outside Hawaii Volcanoes National Park. Our company has preferred parking inside the county gates that save you at least 5 miles of hiking versus doing it on your own. 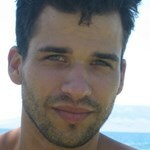 Your tour guide is certified ranger trained who will lead you on a several mile hike to the current active eruption. 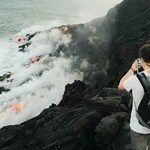 This tour is fully narrated sharing the geology, science and cultural awareness with myth and legend stories that tie in the history of past eruptions in the area. 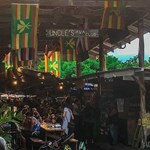 After witnessing the most memorable experience of red hot lava, your guide will drive you to Uncle Robert’s Awa Club and Farmers Market for a famous Wednesday night social gathering for tasty food, fresh produce, live music entertainment and farmers market shopping. 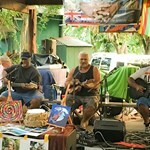 It’s a lively market, with wonderful sound, sight and smell – and lots of friendly aloha spirit (Wednesday only). PLEASE NOTE: You will be walking at least 4.5 miles round trip (about 1 hour each way). 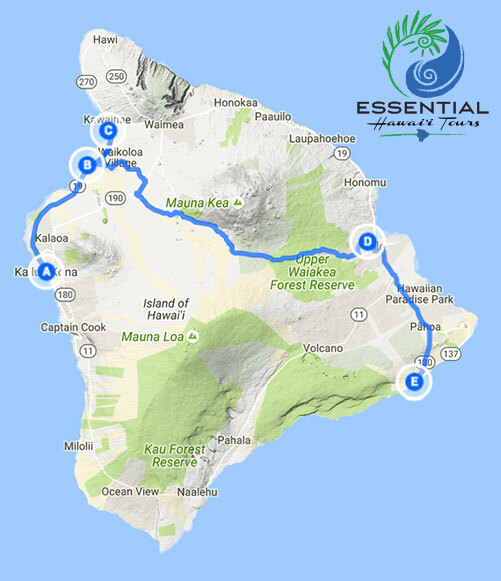 This is a moderate to difficult tour rating with most of the walking on a gravel road plus hikes across the rough and uneven black lava. The return hike can possibly be in the dark. 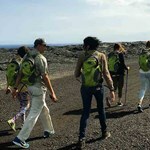 We do provide a hiking backpack geared-up with a head lamp or flashlight, water and rain poncho. 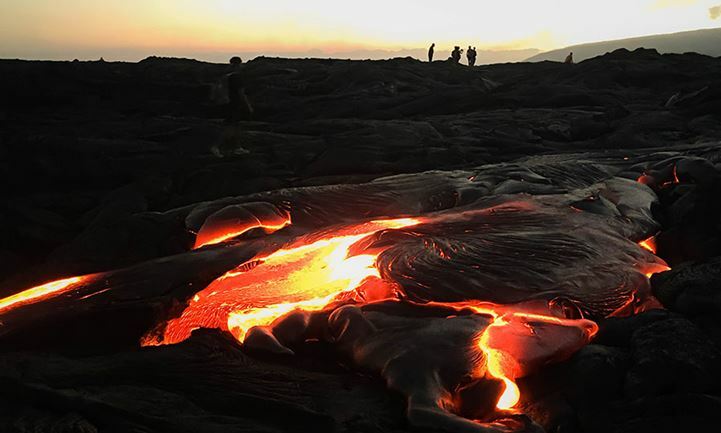 The viewing of molten lava and volcanic activity may not be seen and cannot be guaranteed on any tour due to nature. 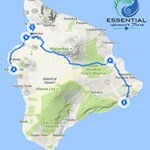 W 9:45 AM - 10:45 AM 12 hours Round trip transportation provided from major hotels in Kona, Waikoloa and Kohala. Click "book it" button to see exact pickup times & locations. 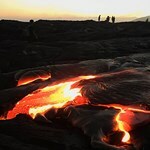 Will we see molten lava on the Volcano Lava Hike tour? 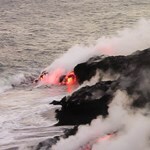 As long as lava is making its path down to the ocean, we will have a good chance to see molten lava. However, red flowing lava cannot be guaranteed. 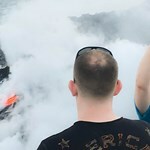 We’ll always attune your experience to get the most out of the current eruption of Kilauea and we will do our best to get you to the closest viewing area providing it is safe and legal. You will be walking at least 4.5 miles round trip (about 1 hour each way). 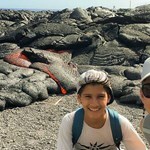 This is a moderate to difficult tour rating with most of the walking on a gravel road plus hikes across the rough and uneven black lava. The return hike will be in the dark. We do provide a hiking backpack geared-up with a head lamp or flashlight, water and rain poncho. It’s very possible that we will encounter rain during our tour. If it rains, we will provide ponchos or rain jackets for your use. Most special dietary needs and restrictions can be accommodated with advance notice.